Alena Spodynyuk crowned Miss Universe Ukraine 2016 !!!! Alena Spodynyuk defeated 13 contestants to bag the title of Miss Universe Ukraine 2016. The grand finale of Miss Universe Ukraine took place on 29th June 2016 in Keiv. 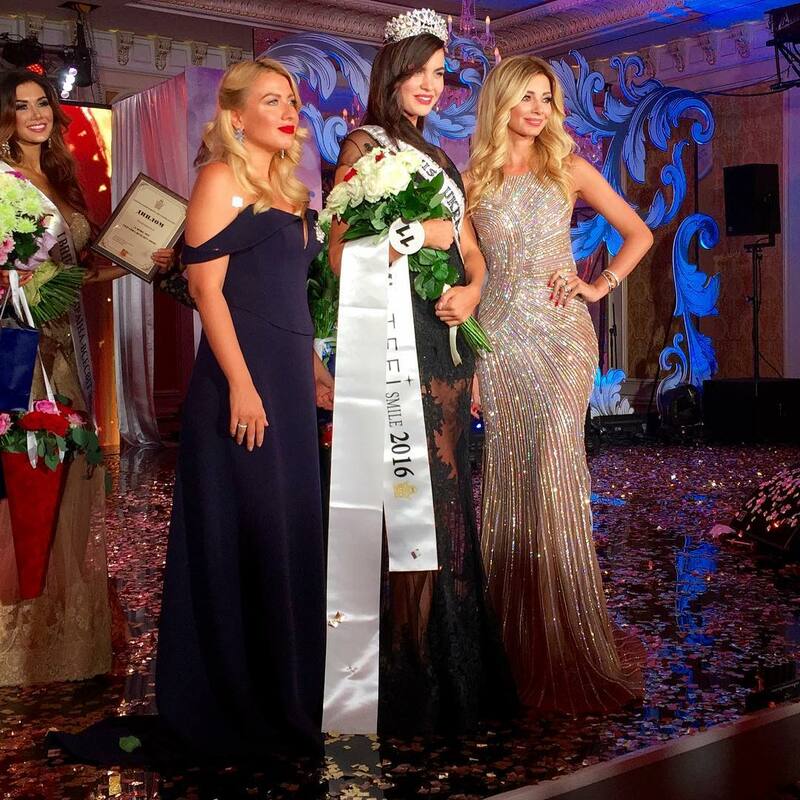 Miss Universe Ukraine 2015 Anna Vergelskaya crowned Elena as her successor. Elena will represent Ukraine at the 65th annual Miss Universe pageant which will take place in Las Vegas,Nevada.Julia Gershun bagged the first runner-up crown where as Julia Zakharova was awarded with the second runner-up title. Ukraine has been sending delegates to the Miss Universe pageant since 1995 but they haven’t won the crown yet. Olesya Stefanko who bagged the first runner-up crown at the Miss Universe 2011 pageant is the highest placement for Ukraine at Miss Universe pageant. Diana Harkusha was the second runner-up at the Miss Universe 2014 pageant in Doral,Miami. Anna Poslavska was third runner-up at Miss Universe 2010.Olga Storozhenko (2013),Lyudmila Bikmullina(2007) & Inna Tsymbalyuk (2006) made it to the semi finals of the Miss Universe pageant. Oleksandra Nikolayenko,Miss Ukraine 2004 used to hold the franchise till last year but she sold the pageant to Anna Filimonova. 18-year-old Alena was born and raised Sevastopol, Crimea. She is currently studying in Kiev. She is 180 cm tall ( 5ft 11 inches). She enjoys playing handball and was part of i Olympic youth team of Ukraine when she was just 12-year-old. Alena loves animals she has 2 dogs one which she rescued from the street. She considers her mother as her role model. Alena is a blank canvas at the moment if that canvas is painted well it will turn into a master piece. Her height & those never ending legs will be her biggest assets. Last 2 Miss Ukraine winners wore Zuhair Murad gowns for the Miss Universe pageant we hope she also gets a Zuhair Murad gown. So far we see her in the top 15 but it will be an uphill task for her. Photo Credit: Alena’s Facebook and Instagram profile.